Finnish Parliament security chief Jukka Savola has confirmed that two men tried to stab themselves on the steps of the Parliament building in Helsinki. They were in possession of ID cards issued by an asylum reception centre. 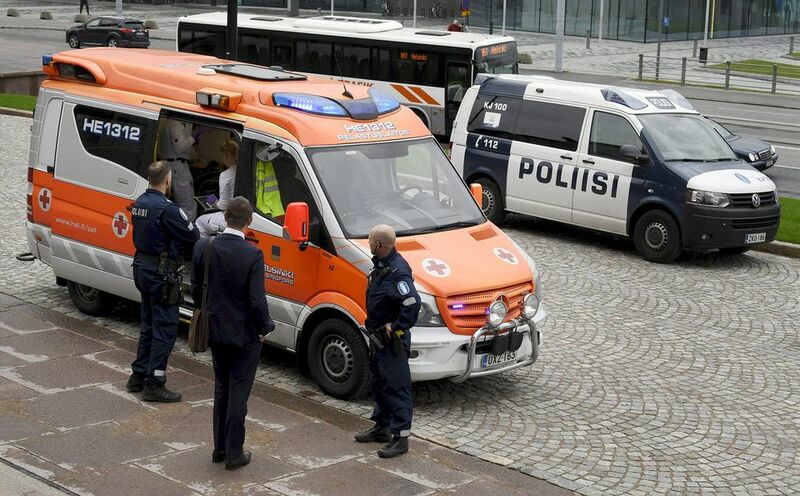 Two men reportedly stabbed themselves on the steps of the Finnish Parliament in Helsinki on Friday after 1.00pm. The institution's security chief Jukka Savola confirmed the news to The Finnish Broadcasting Company Yle. "We had just started the plenary session, and the men were seated near the main entrance to the building. There was quite a bit of traffic in the area around that time, but no one was in any danger and the men in question did not threaten anyone," Savola says. Savola tells Yle that both men were reportedly in possession of yellow identity cards issued by an asylum seeker reception centre in Finland. He also said the Parliament had received no advance warning of what would transpire. Hilkka Säävälä, a political reporter for Yle, reports from the scene that the two men have been taken to hospital in an ambulance, and there is blood on the steps in front of the building. "We've got effective cooperation with the police department, and a unit arrived on the scene immediately. The ambulance came in just a few minutes," says Savola. The police have reported that the men likely stabbed themselves in the stomach, but say they are not at liberty to release more information about the men's condition. They pointed out that confidentiality regulations prevent them from divulging such information. In a statement issued Friday afternoon, Helsinki police said that there was nothing to indicate any connection between the stabbings and a nearby demonstration by Kurdish protesters. Police said that no bystanders were injured or endangered during the incident. They added that they have no information about the nationalities of the men involved and that they are not pursuing a criminal investigation. The incident was initially reported as an attempted double suicide but police have said they are still looking into the case. Edit: This story was updated at 5.13pm to include additional information from Helsinki police department, and to indicate that the incident was not a double suicide attempt as initially reported.